Control your labor costs by providing you with a detailed employee tracking, labor statistics and productivity reports. 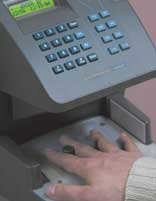 The employee time clock allows you to track employee hours by profit center or department. Reports include labor cost per hour, car per labor hour, labor cost per car, commissions and more. Track unlimited number of employees from one or multiple sites.